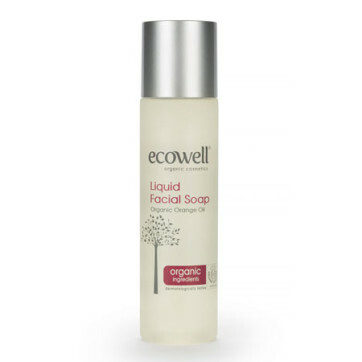 Refreshing and revitalising, Ecowell Liquid Facial Soap’s purifying action removes excess sebum while maintaining the pH value of the skin without damaging the lipid layer. Its soft creamy foam does not dry the skin as it cleans, purifies and leaves a natural shine due to the powerful effects of Organic Myrtle Water and Organic Orange Oil. 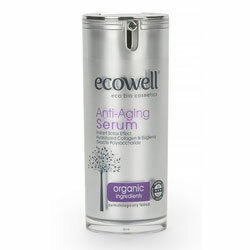 Organic Myrtle Water which deeply cleanses, purifies and tones the skin and contains anti-acne properties. Organic Orange Oil contains anti-inflammatory, antibacterial, high levels of vitamin C that protect and heal skin, promotes the production of collagen and reduces wrinkles and skin damage caused by exposure to environmental elements. It also prevents acne. Also suitable for removing eye and facial make-up. How to use: With lukewarm water, lather Ecowell Liquid Facial Soap between palms. Massage over face and neck; rinse off thoroughly. Use twice daily. 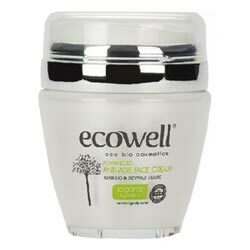 Ingredients: Aqua, **Myrtus Communis Leaf water, Sodium Cocoamphoacetate, Cocamidopropyl Betaine, Glycerin, Lauryl Glucoside, Coco-glucoside, Lactic Acid, Sodium Cocoyl Glutamate, Sodium Lauryl Glucose Carboxylate, Phenethyl Alcohol, Glyceryl Oleate, Sodium Benzoate, Potassium Sorbate, **Citrus Aurantium Dulcis (orange)Peel Oil, Ethylhexylglycerin.